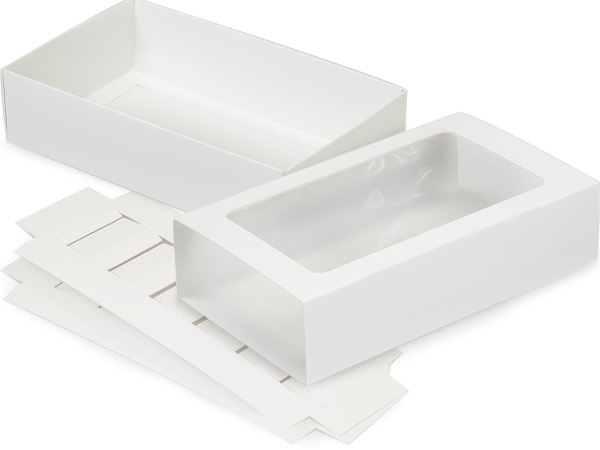 Each 8-1/4x5x2" White Macaron Cookie box set includes: 10 bases, 10 sleeves and 20 inserts. Everything you need for easy cookie packaging! Each box holds 12 cookies.